Boulder Reporter » How Boulder is governed: time for a change? How Boulder is governed: time for a change? For 92 years Boulder’s municipal government has operated under the strong-City Manager, weak-City Council system. I believe it is time to consider alternatives to the current form of our local government. In 1918 Boulder joined a growing collection of primarily small cities and towns seeking to “reform” local government. Staunton, Va., was the first town to make the change in 1908, followed by Sumter, S.C., in 1912 and Dayton, Ohio, in 1914. The City Manager movement was primarily initiated by business and civic interests concerned about the growing influence of minorities and immigrants on municipal governments. They sought to take local government out of “undesirable hands” and give to “safer,” more business-oriented officials. The City Manager system is inherently undemocratic. The city’s government is administered by an unelected City Manager and staff. The manager is supposed to be subservient to the elected City Council but in reality runs the show with little effective supervision. The City Manager is not accountable to the public. The City Council appoints the manager, gives her a multi-year employment contract and has minimal control over the actual operations of the City of Boulder. When problems arise with City government it is almost impossible for the citizenry to affect prompt change in the bureaucracy. Boulder, along with the rest of the United States, is entering a difficult period that will be characterized by a witch’s brew combination of problems, including peak oil, climate change, economic stagnation and a divisive national political environment. To an unfortunate extent we will be on our own, as the federal government can (or will) no longer assist localities and the state government is handcuffed by the restrictions of the infamous TABOR amendment. As things deteriorate the burden of providing municipal services will fall back to local and regional institutions. Boulder will, thereof, require imaginative and responsive leadership in our municipal government, and that is not a quality usually found in the bureaucracy of a City Manager form of government. It is important to stress that the problems with the City Manager form of government in Boulder are not personal but systemic. 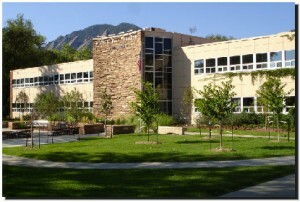 Boulder has benefited in recent years from having professionals at the helm of the municipal government. Their personal skills are not at issue. Traditionally, in western societies, the Mayor has been the chief executive of the municipality. This tradition dates to medieval times, as with the Lord Mayors of English cities and the Burgermeisters of Germanic ones. Under the City Manager form of government, the functions of the elected Mayor are transferred to an appointed administrator and taken away from the public. In Boulder’s antiquated City Manager form the Mayor is essentially a figurehead, elected not by the people but by the City Council from among its members. The Mayor presides over City Council meetings, votes on all issues, makes a few appointments to some City boards and commissions and represents the City at some public functions. Otherwise, the Mayor is just a first among equals, and barely that. Under the current City Charter, the nine members of City Council are legally responsible for the governance of the municipality, although the actual operations are delegated to the City Manager. Five Council members are elected at-large by the entire electorate every two years and serve for four years, except for the lowest winning vote-getter of the five who gets a two year term. Try explaining the rationale for that convoluted system. The Council members, and their constituents, are not well treated under the current system. Pay for Council members is low (less than $10,000 per year), hours are long and few tools (such as computers, staff or office space) provided. Being overworked, most Council members simply don’t have the time to properly supervise the City staff. Without that supervision, the staff often creates its own agendas that are not necessarily those of the Council or the public, such as reducing services instead of internal administrative costs. The whole idea behind the City Manager system is to remove government as much as possible from the hands of the people. This concept initially was to bring “professionalism” to municipal management at a time when most citizens had limited education and certainly little time with which to be involved in their city’s operations. That certainly is not the case in Boulder. City management is neither an art nor a science. Any person with good management skills can administer a city government as long as they surround themselves with a good subordinate staff and understand the differences between a business and a municipality. This includes people with experience in business, education or nonprofit organizations. Certainly some functions require expertise in technical fields, such as engineering or planning, but otherwise management is management. So, does Boulder need to employ a City Manager, unelected and unaccountable, or can the functions of local government be returned to the elected officials and their appointees? Many proponents of the current system raise the specter of “politics” in seeking to limit the role of elected officials (and the public) in the governance of their community. Yet, “politics” is an integral part of democracy. We elect our representatives. We do not acquiesce to the rule of nobility, except when it comes to the City Manager form of government. Few large cities use the City Manager system any longer. Of the 50 largest cities in the United States, only Charlotte and Phoenix cling to the system, and discussions in Charlotte about strengthening the power of the elected Mayor are being heard across that city’s political spectrum. Now that Boulder has surpassed the 100,000 mark in population, it’s logical to question whether the City Manager form of government retains relevancy. Elect the Mayor and give that chief executive more authority. In particular, the Mayor should receive a suitable salary, have an office and a small staff, and appoint the City Manager, with the advice and consent of the City Council. This system is utilized in Santa Fe, for example. The term of office should be four years. The Mayor should appoint at least some members of the City of Boulder’s boards and commissions, also with advice and consent of Council. The City Manager would implement the policies and priorities of the Mayor and City Council. Department heads would be appointed by the City Manager with the approval of the Mayor. The City Manager would serve at the pleasure of the Mayor. The City Council would have eight members, four elected from single member districts and four at large. Two of the at-large members would be elected every two years, with four-year terms. District members would have two-year terms. The Mayor would serve as president of Council but vote only in the case of a tie, and not on any of his or her appointments. City Council members would earn a reasonable salary for their services, with at-large Councilors receiving a higher salary. All members would have access to office space, a Council administrator and necessary tools to perform their duties, such as computers and cellphones. Having an elected Mayor with executive powers would restore democracy and accountability to Boulder’s government. No system of government is perfect, since each rests on the character, abilities and ethics of the elected and appointed officials. The mayoral system, however, offers a more effective alternative to the City Manager system. Allowing voters to once again choose both their Mayor and City Council members would create a balance in local government, especially if some form of district representation for Council was included. The Mayor and at-large members of City Council would, especially with four-year terms, have the best perspectives on overall community issues. The district members, serving only two-year terms, would have the best perspectives from Boulder’s individual neighborhoods. The combination would enhance accountability, make it easier for more people to seek local elected office and broaden diversity in municipal government. I am usually loath to recommend the appointment of study commissions, since those frequently are the places where good ideas go to die. However, I believe City Council needs to appoint a broadly-based Citizens Charter Commission to consider options for reforming (or retaining) our local government, which changes would then be submitted to the voters for their consideration. I have experience with such a process. In 1970, recently out of the University of Kentucky and a new citizen of Lexington, I was appointed to a commission to draft a charter for the proposed merger of the City of Lexington and the County of Fayette. Lexington at the time was a fast-growing college town of about 100,000 people. Its governing structure was that of a weak City Commission and a strong City Manager. Local government in Lexington was controlled then by conservative, business-oriented southern Democrats, and many parts of the community — especially young people, suburbanites, liberals, Republicans, university people and African Americans — were frozen out of the process. A broadly-based citizens’ petition movement forced the merger onto the ballot, where it passed with 70 percent of the vote. The charter commission had to consider ever aspect of local government, not just governmental structure. It was an educational process for the people of Lexington, and helped bring them closer to their government. Lexington, by the way, dumped the City Manager system and operates under the Mayor-Council form. In 2003, a petition drive successfully placed an initiative on the Boulder ballot that would have created district elections for members of Council. The voters rejected that single-issue effort. I too voted against it, concerned about the motives of the business and development interests backing the initiative. In considering changes to the City Charter now, we should include the entire community in the process and not just some special interests seeking to control City government. I hope that the Boulder City Council will create the charter commission to bring our community’s government into the 21st Century. We no longer live in a small town. It’s time to “return to the future” by re-instituting a more democratic and accountable system of municipal government with an executive Mayor and an effective City Council.